This viral photo of a solid green Frankenmallard crossed our desk courtesy of biologist and WILDFOWL contributor Brad Fenson, who got it from an outfitter, who got it from a little bird flying around the Internets...this supermallard would be gorgeous to see glimmering on a lake in the sun and would make a cool mount, but the question remains, is it just a nasty hybrid-domestic/muscovy inbreed from the local park that got a "Call of the Wild" urge to fly with his wild brethren into shotgun range? 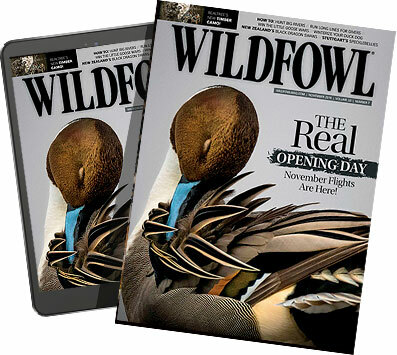 Or could it be a legitimate high-flying mutant mallard of true wild-bird genetics? We've all seen photos of those gorgeous solid black/green rooster pheasants, and mildly mutated black/duck mallard hybrids. And dark colors are genetically dominant. What do you think? Have you seen a quacker like this Christmas-y freak? The duck was allegedly killed in Dermott, Ark.